Is there some meaningful differentiation to be understood from words like "bespoke" or "custom," or are they now just as trite and meaningless as words like "artisanal" and "craft"? And could these labels help us find better glasses and sunglasses? We live in a world of fancy-schmanzy sounding products like “craft beer” and even “craft sausages." 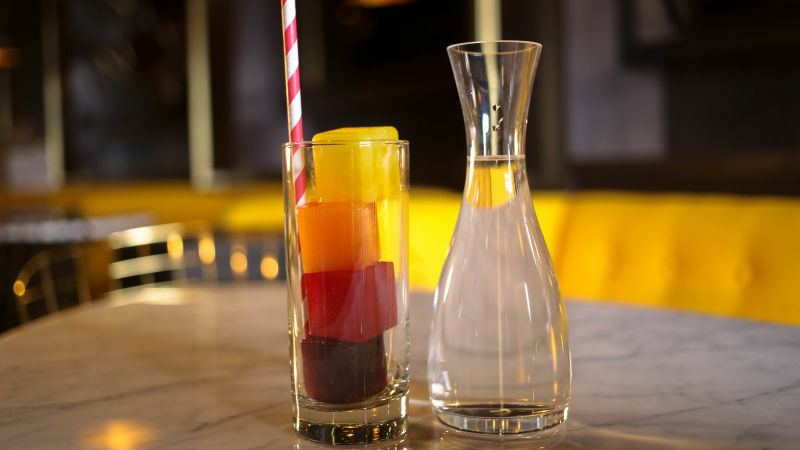 Where anything from Dominos Pizza to Ice (yes, as in frozen water) can be called “Artisanal” and “Small Batch” seems to mostly mean paying a large premium. 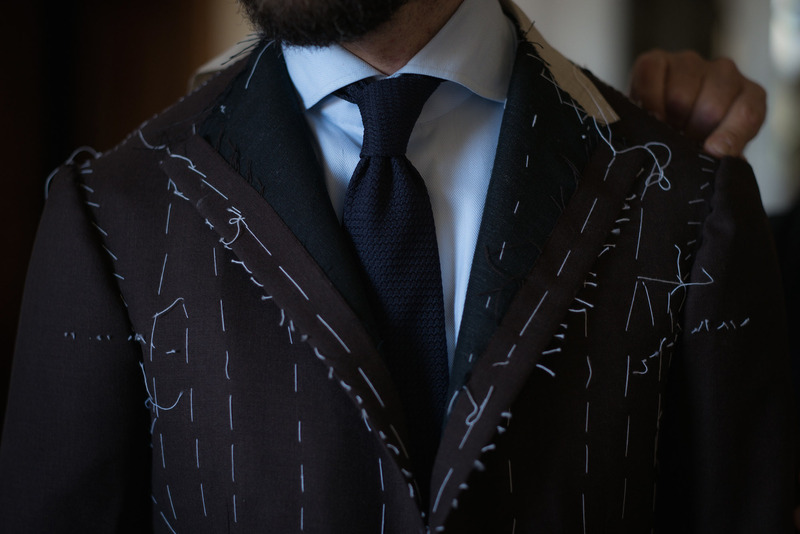 So are labels like “Bespoke,” “Couture” or “Made-to-Measure” just as trite and meaningless, or can they be useful in helping customers understand real differences between one product or another? As the guy responsible for deciding how we describe ourselves at Topology, I’ve been researching the origins and meanings of the terms used to describe the various levels of customization in fashion and apparel, to consider if any could be a more helpful label than “Custom-Fit” for describing Topology Eyewear. What I've found is that there is actually a spectrum of labels spanning various degrees of customization, and there are some useful meanings behind the terms that can help you decide what to buy. Bespoke products are generally the most customized of all products on the custom label spectrum, having been made from scratch with the greatest degree of uniqueness for each individual customer. Etymologically speaking, bespoke means “spoken for,” in reference to having been designed and made exclusively for an individual person. Bespoke traditionally refers mostly to menswear and suits in particular, with origins from the famed Saville Row in London. It seems that these rules could beyond suiting to other products like eyewear, so let's see how Topology measures up. No pre-existing sizes or measurements, just unique faces. The frame styles you see in the Topology app are like the “slopers” of bespoke tailors. They are the outline silhouettes that differentiate one design from another, but have no actual measurements or sizes themselves until applied to a specific individual person. 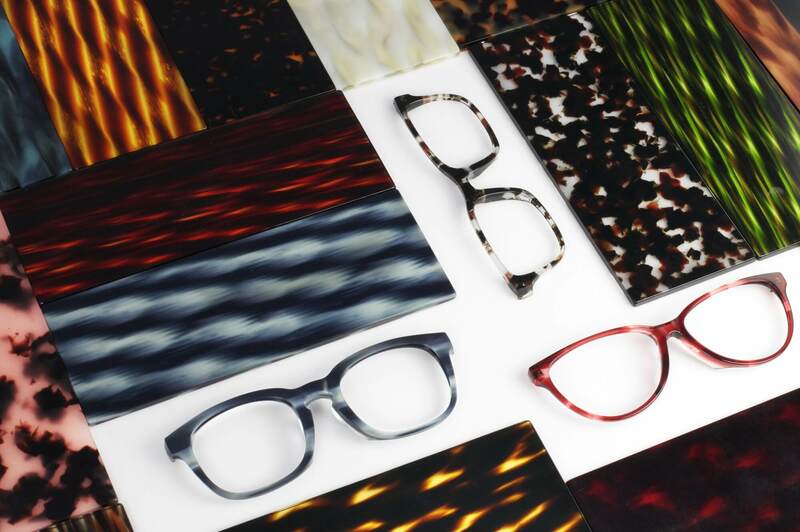 Bespoke product customizations from Topology Eyewear. Multiple fittings (but not as you know it). Believe it or not, there are actually 5 fittings that occur in the process of creating one pair of Topology glasses. Once you download the Topology app, you are invited to take a quick video selfie from your iPhone. We use computer vision (the same technology that self-driving cars use) and augmented reality to construct a 3D model of your face, which allows you to preview any of our custom styles on your own face. The virtual try-on works using relative sizing, but when you are ready to place an actual order, we ask you to do a second selfie using a credit card strip as a reference point against which to calibrate precise millimeters of your face. 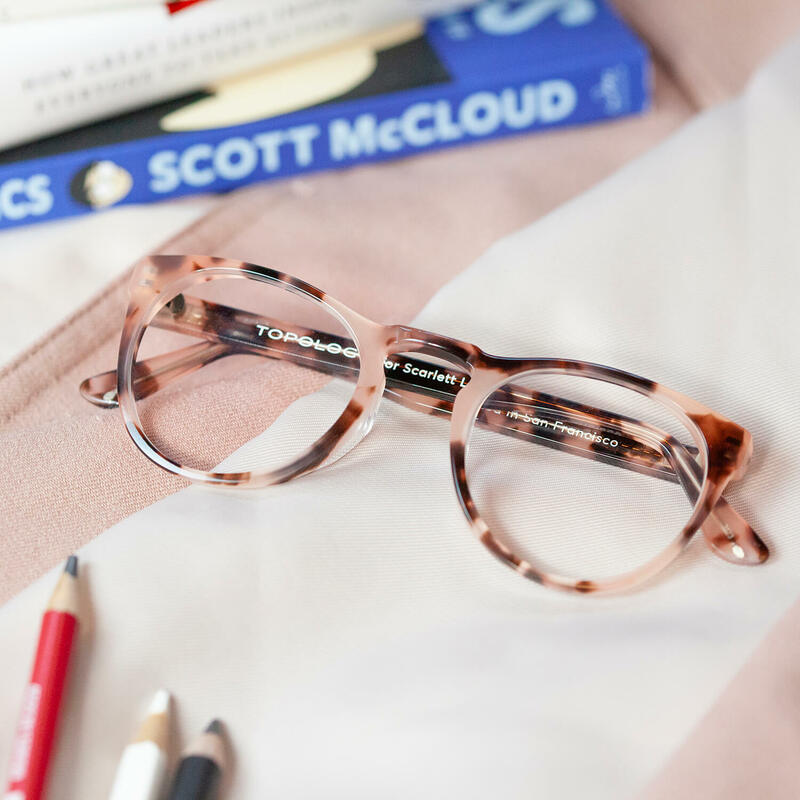 When we receive your order at Topology, we review in precise detail exactly how your frame design sits on your unique face, so that we can ensure it will match your contours perfectly and be comfortable to wear all day. We also give everything a visual and stylistic check, and if we have any suspicion that your design might not be the stylistic effect you want, we always contact you to discuss and confirm. Within a few days, we'll custom-make you a prototype of your chosen design and ship it to you, so that you can try it on at home and feel it for yourself in real life. More information about our prototypes is available here. If your fit is not perfect, you can request changes and we will custom-make you new prototypes until you are completely satisfied it is correct. Bespoke prototype delivered to preview fitting of Topology Eyewear. 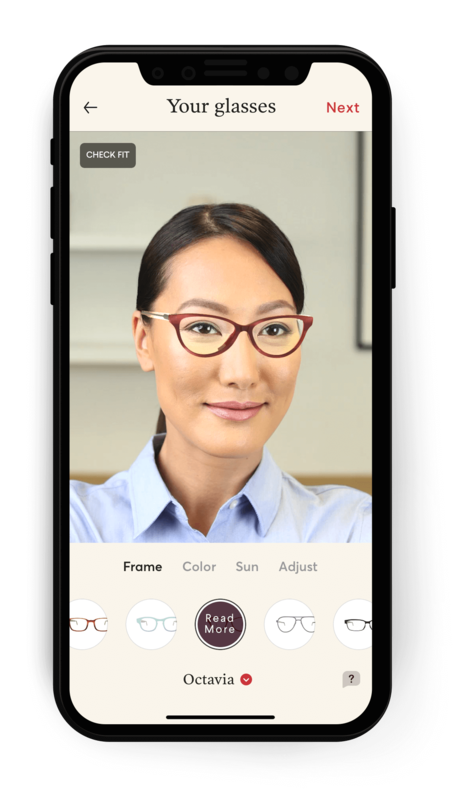 As soon as you accept your prototype, we start work on building your final glasses, fit them with your prescription lenses and ship the final pair to you. Our imports and stock room consist only of raw materials, such as acetate from Mazzucchelli, lightweight flexible steel, and un-edged lenses. From these basic materials, we sculpt each and every pair from scratch, right here in San Francisco's Design District. Whereas a Saville Row tailor may be able to work with a variety of mills to fulfil a customer's request for custom fabric weave, this is not something we are currently able in eyewear. However, we do currently offer more than 30 colors for any frame design, with the option to mix and match between frame front and temples, creating thousands of available options. We can't guarantee we can do anything, but if you an idea, you can click the chat button on the bottom right to tell us about it and we can see what we can do! Made-to-measure offers a lesser degree of customization than bespoke, but typically for lower price and shorter order-to-delivery time. This is possible because each customer's product is a variant of an existing pattern or "sloper," rather than being designed and created from scratch for each customer. The suit didn't fit, so they got the scissors out and MADE it fit! Made-to-measure is based on pre-set patterns. Generally no fittings are required during the creation process. The basic shapes of our frame styles pre-exist, and are then reshaped around the measurements of the customer. You don't meet our Topologists (Optical Tailors) in person, with all measurements being taken from our app and consultations happening remotely via chat or video call. As mentioned previously, it is not possible to offer infinite customization options, although there are many thousands of configurations available within the Topology app. Our patterns are not merely "scaled"
Each frame design is redrawn in three dimensions to perfectly match more than 2,000 measurements of each customer's face. Therefore, it is more of a bespoke level of customization than would be considered made-to-measure. Even if some of the fittings are virtual, they are more accurate than a human could achieve. 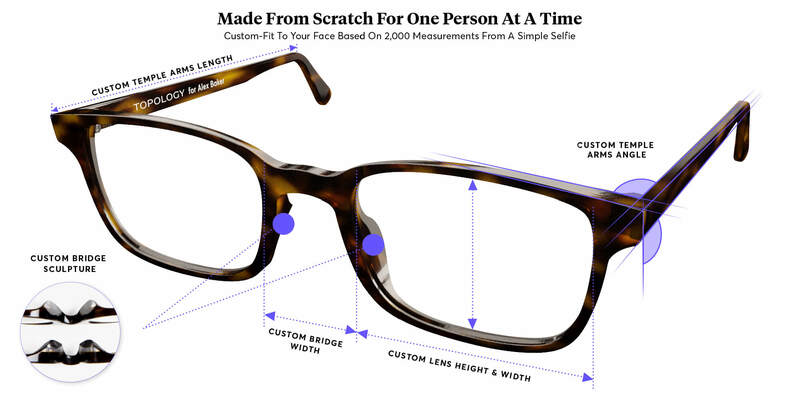 I think made-to-measure would be a good designation for Topology if we made glasses by combining variant sizes of pre-cut parts, but that's not what we do. Instead, each frame front and temple is sculpted from scratch from raw sheets of acetate or steel. OK so we're a little different to bespoke, but definitely something more than Made-to-Measure. What's next? As "bespoke" and "made-to-measure" are so synonymous with menswear, and because Topology Eyewear makes custom prescription glasses for both men and women, it is important to consider whether the womenswear equivalent is more inclusive. When you think of custom-made dresses, you of course think of "couture," or even "haute couture." But what do these phrases mean, and are these good monikers for Topology Eyewear? "The design and manufacture of fashionable clothes to a client's specific requirements and measurements." A haute couture garment is always made for an individual client, tailored specifically for the wearer's measurements and body stance. Have an atelier in Paris that employs at least 15 people full-time. Each season present a collection comprised of at least 35 looks for both day and night." "Couture" means 'hand-made' with at least some 60% of the garment being hand-sewn, not machine sewn. It is true that every pair of Topology eyeglasses or sunglasses are "tailored to the individual client, both in style and size." (As Mochni defines couture). However we make every pair in San Francisco, and certainly don't have an Atelier in Paris, France! So assuming that the Chambre Syndicale de la Haute Couture would not take kindly to us appropriating their protected designation of origin, we'll skip this one and keep looking. Specially made according to a customer's specifications. By this definition, made-to-order could be construed to not include the critical fact that each pair of glasses themselves are custom-crafted to the measurements and requirements of one customer at a time. 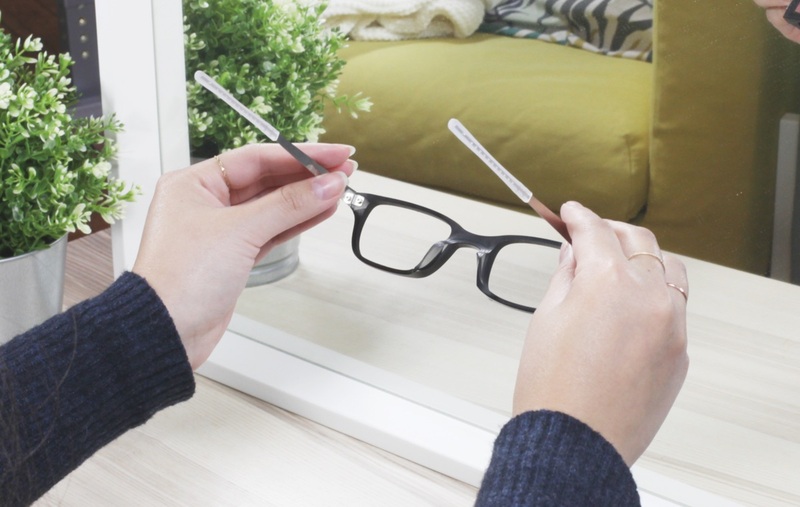 For example, a batch of several identical stock eyeglasses could be made only when a customer places an order for them. 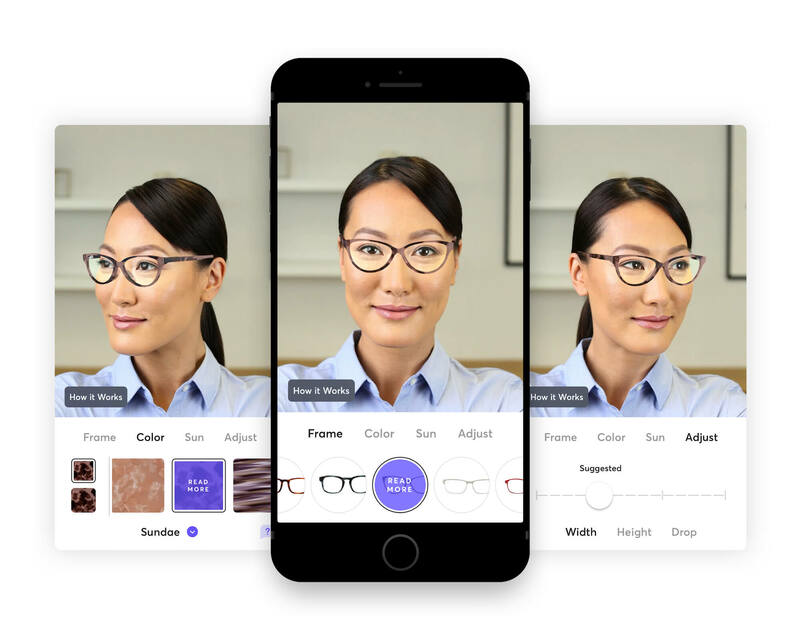 Topology Eyewear is absolutely made-to-order, and this is a great thing because significantly less waste is created when a frame is only made when ordered. But we need a label that better focusses on the uniqueness of fit for each person. I've always liked the designation of personalized for what we do, because the personal aspect of the product and service is so important to us. Of course it is absolutely true that Topology is personalized eyewear, as we inscribe the inside of your temples with any name, nickame, handle or even phone number if you choose. But this is perhaps the least remarkable of all of Topology's offering, and not the highest priority aspect to bring attention to. This is the most general and flexible of terms, and is the go-to word for most Americans looking to describe something that made especially for a specific person, group of people or use case. "Custom" or "customized" could also be considered the over-arching name for all of the previous labels, which is helpful as a catch-all, but not helpful in quickly describing what we do. So is Topology Eyewear, Bespoke, Couture, Custom or what? It seems there is no ideal existing category label to lean into, which is why you often hear me combining several terms when describing Topology to someone I meet. But as mentioned earlier, there are too many gaps between the proper definition and Topology's true value for it to be fitting enough for us. There's no great word to label a product or service Topology, because nothing like this has ever existed before. Cars had to be called "Horse-less carriages" before they could be understood as "cars." It also stands to reason that in the future, we will stop calling autonomous vehicles "driverless cars," and instead will find a snappier name for the category. We just don't know what that is yet. Where "custom" brings the meaning of "built according to individual or personal specifications or preference" with a specific focus on the customization of the fit for the individual person, which is our superpower. So for now, "custom-fit" becomes our "horseless carriage" and we will continue to brainstorm on what is our equivalent of "car." If you have your own idea or suggestion for label, let us know on Twitter. Or if you really want to understand what custom-it means, order a $10 trial today and feel it for yourself.